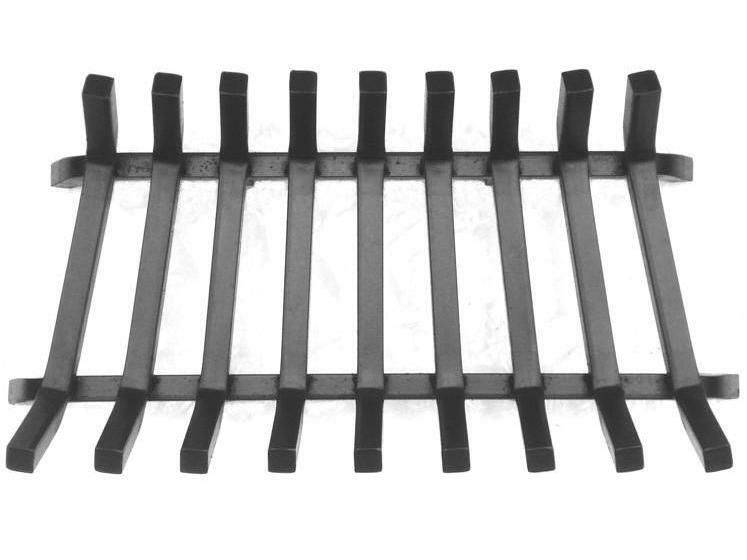 Super heavy duty fireplace grate constructed from 1¼" solid steel bar! Designed to withstand the harsh environment of a serious wood burner's fireplace. 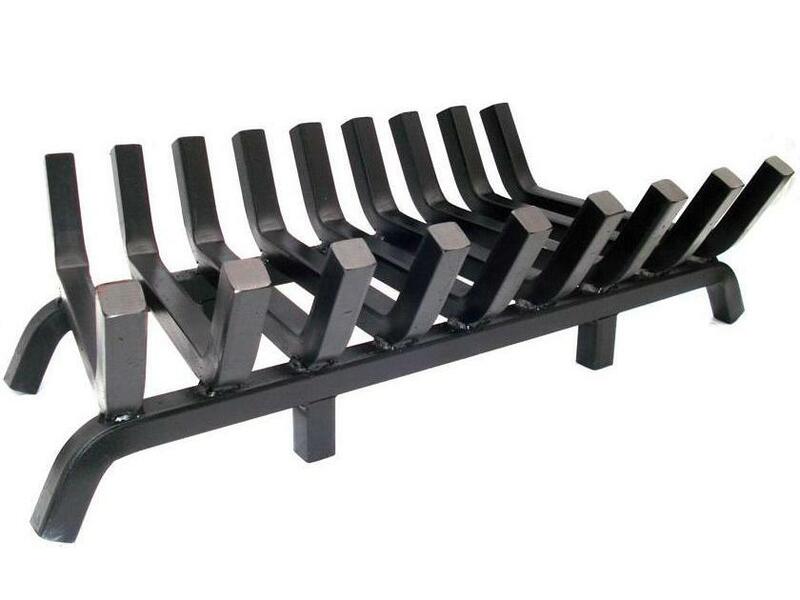 This monster puts any other manufacturer's so-called heavy duty fireplace grate to shame! Dimensions: 36" front width, 32" back width, 18" deep, 9½" high. Width dimensions are measured at the feet, depth is measured at the top. Weighs 130 lbs in the box. I admit, it took a while to pull the trigger on this grate considering the price and all. It's been a couple of weeks now with many a hot fire. Not a sign of warpage. A few weeks in using grate and am satisfied. The real test will be a year or two to test if it burns out. Is described well and measurements accurate as I maxed the size for my fireplace. It is nice having a 130LBS grate that doesn't budge no matter the size of logs. Looks good and am please with purchase since about once a year I burn a grate out. Once steel and the second cast iron. Do miss that the cast iron had smaller holes and have small log ends constantly falling in between metal. I can’t wait for winter this year. I don’t imagine I’ll ever need to replace this beast! What planet is this from? I had no idea that something like this could even be bought. I could barely pick it up and get it in my fireplace. I can honestly say my expectations have been exceeded. Well done!